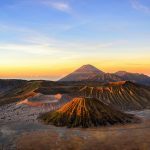 How Much Money Do I Need For Travel in Indonesia? How Much Money Do I Need For Indonesia?-may become the main question for all of you before come to Indonesia. 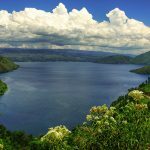 Indonesia, the big country, has so many places to visit and also culture and activities that you may try. From visiting temple, scuba diving, hiking mountain and seeing sunrise, and also make Batik or wood carving. So, your budget depends on where you go and the activities you wish to take part in. Located on the eastern side of Java Island, Bali is the most famous tourism in Indonesia which is well known around the world. Besides famous for its natural beauty, especially the beach, Bali is also famous for its unique and interesting arts and culture. 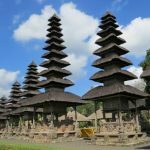 Bali as a complete tourist destination and integrated has a lot of interesting sights, what are the attractions in Bali that must be visited? Here it is Bali Popular Tourist Attractions. Yogyakarta is famous as a city of education in Indonesia because here there are a lot of universities and polytechnics more than others area in Indonesia. Maybe you will think that this city is boring, nothing to see except universities, laboratories, and printing service. But, it is completely wrong! Here, we can enjoy a variety of travel destinations combined with the culture and local wisdom, making it is always interesting to visit. Borobudur and Prambanan temples stand as the main attractions. Here is our complete Yogyakarta Travel Guide for you. Lombok island is located east of Bali. 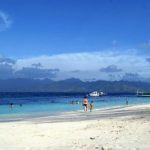 Nowadays, Lombok and Gilis started to become the alternatives for nature and beach lover tourists besides Bali. Just like Bali, tropical climate with warm and humid weather can be enjoyed in Lombok all year. Temperature ranges from 21 Celsius to 32 Celsius (quite hot for you who comes from Americas or Europe). And the best time to come is in the month of May when the weather is just perfect with bright daylight and green scenery. 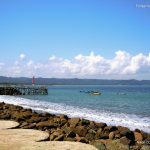 Here is the Lombok Travel Guide, summaried from guide locals. Renting or travelling using car is very familiar if you go to Indonesia, especially if you plan to go to rural or small town. Public transportation (bus, train, or taxi) are available, but most of them are not comfort enough and have very limited route. You can see people smoke inside the bus or they stop more than 30 minutes to wait the bus full. It will waste your times and also energy. On the other hand, car rental is quite cheap in Indonesia, and it is the best choice if you want to go more than 3 places in a day outside the town. 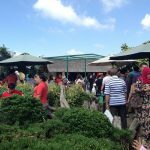 Here is our Feel-Indonesia recap about car rental in Indonesia. So, check this out! Bandung Travel Guide – Bandung is the capital of West Java province, located 140 km southeast of Jakarta. Bandung stands as important and historical city of Indonesia. For me, Bandung is my second hometown, while I had been living here for 4,5 years during my undergraduate study. 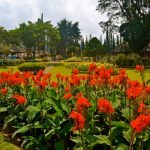 Bandung–which also well-known as the city of flower–is a perfect day trip journey from Jakarta, while Jakarta-Bandung is just 3 hours trip. Bandung is called as city of flower and Paris van Java because it has exceptional beauty ambiance with flowers and trees. 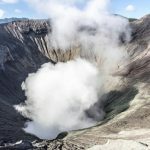 Moreover, Bandung is quite cooler than Jakarta, since this city is surrounded by mountains, Gunung Puntang in the south and Tangkuban Perahu in the north. Bali, the famed Island of the Gods, with its various landscape of hills and mountains, rugged coastlines and sandy beaches, lush rice terraces and barren volcanic hillsides. All of them provides a picturesque scenery to its colorful, deeply spiritual and unique culture, as people called “paradise on earth”. With world-class surfing and diving facilities, a large number of cultural, historical and archaeological attractions and ceremonies, enormous range of accommodations, this is one of the world’s most popular island destinations and one which consistently wins travel awards. Bali is even more popular in the world than “Indonesia”. And the most important thing in Bali, here, you can have something to enjoy: from young back-packers right through to the super-rich. And here it is: Bali Travel Guide for you. Taxis in Indonesia almost the same shape as in Americas or Europe, with a sedan-type car with two rows of seats, and complete with indicator lights above empty or occupied cab body. Taxis can be catched easily near airports, stations, or bus terminal in the big cities in Indonesia. But, in rural or small cities, it is quite difficult to find that. Taxis in Indonesia is quite cheap if you compare it with taxi in other countries, but the standard service is very good and the cabin is cool and comfortable. Please consider the Feel-Indonesia guide to riding a taxi in Indonesia. Feel-Indonesia readers often ask about Indonesia, mostly about the food, about shopping and get the nice goods, and of course about the transportation. Yes, Indonesia was still under-development country, so you will see several problems especially about the rules and transportation. But, Indonesia was still worth for your holiday plan, if you follow this short tips from Feel-Indonesia Team. So, take a small notebook, and you can write about Travel Tips in Indonesia. Here you go! 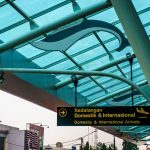 What we should prepare when traveling with family and kids in Indonesia? It was true that Indonesia was not as famous as Japan or Singapore, but, in my opinion, was a very beautiful and friendly nation for all ages. From kids to old people, you can enjoy beauty of nature and rich of culture and traditional attractions. So, here are our tips to enjoy vacation with family and kids in Indonesia.